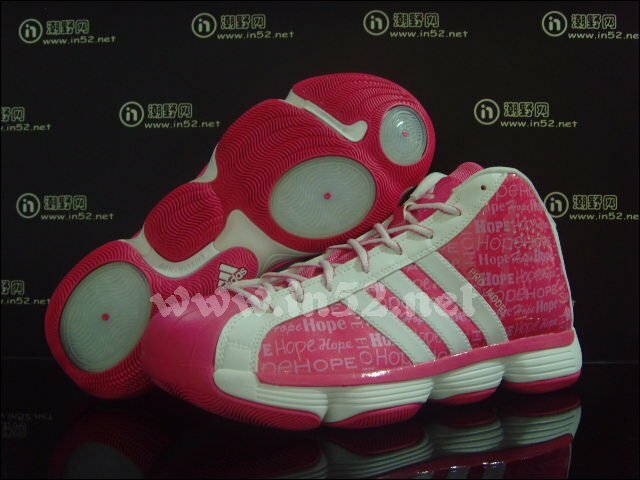 Marking adidas' involvement in the stand against Breast Cancer is this pink-based Pro Model 2010. Along with other sneaker and apparel brands, adidas makes sure they do their part in helping increase Breast Cancer awareness, a disease that impacts the lives of 1 in every 8 American women. 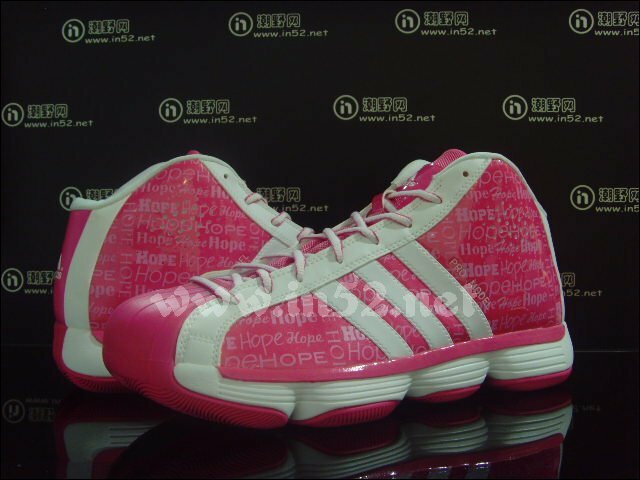 To mark their part in the fight, adidas creates a wide range of pink clothing and sneakers, with proceeds from sales donated to various Breast Cancer charities. 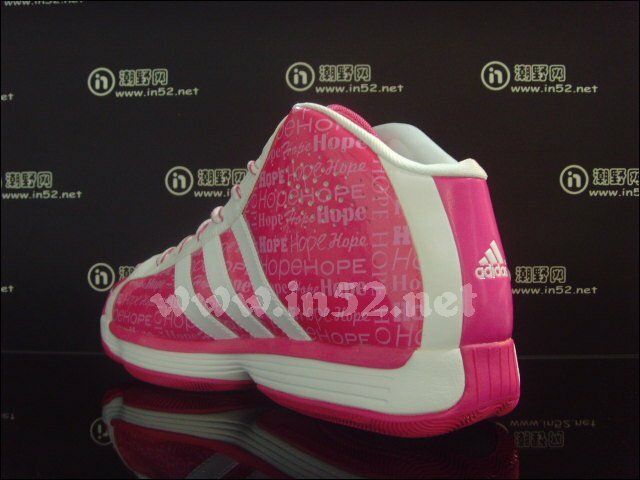 One of the Breast Cancer Awareness items from adidas is the Pro Model 2010 seen here. 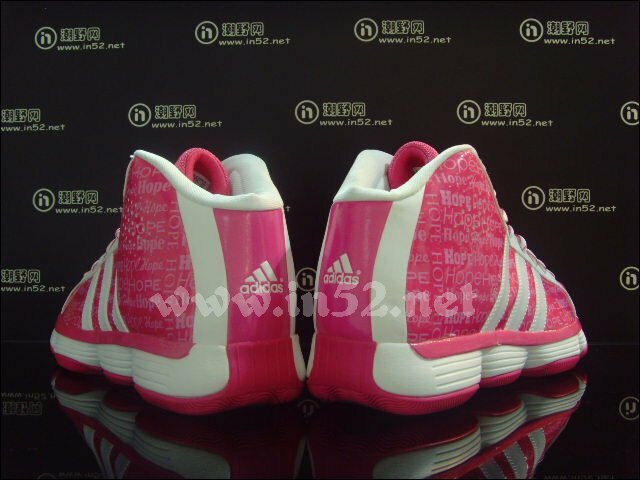 The shoe, which hit WNBA courts earlier this year, features a pink synthetic base, with white working the inner liner, Three Stripes, eyestay and trium. 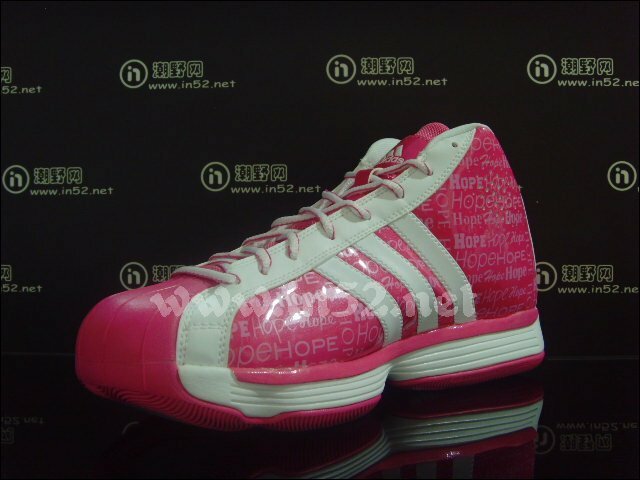 White also works the midsole, which is finished off by a pink rubber outsole. On the side panels, the word "Hope" is printed in various fonts. No word on how to get your hands on these just yet, but Sole Collector will keep you informed.